Elisabeth Revol of France has been rescued and Tomek Mackiewicz of Poland is presumed dead after they summited Nanga Parbat (8126m) in Pakistan for the mountain's second winter ascent. Masha Gordon, a friend of Revol's, said the pair summited on January 25. On this trip, Revol and Mackiewicz reportedly launched their summit push on January 20 and summited January 25. On January 26 the weather had deteriorated with high winds. Mackiewicz had become snow-blind, he had extensive frostbite, and he was disoriented and unable to move independently. After calling for a rescue, Revol secured him in a sleeping bag inside a crevasse at 7280 meters and continued down alone for help. A Polish team attempting the first winter ascent of K2 (8611m) responded to the call for rescue: Jaroslaw Botor, Denis Urubko, Adam Bielecki and Piotr Tomala were helicoptered by the Pakistan Army to Nanga Parbat on January 27. According to K2 expedition leader Krzysztof Wielicki, two helicopters had to make multiple attempts to land at Camp I (4900m) on the Kinshofer Route. At about 5:30 p.m. Urbuko and Bielecki—who Wielicki said were "best acclimatized"—started climbing the Kinshofer Route while Botor and Piotr Tomala set up Camp I.
Wielicki reported that Urubko and Bielecki climbed 1100 meters and established voice contact with Revol "slightly above the second camp at about 6100 meters." Her hands and left foot were frostbitten. The three stayed in Camp II for four hours in "very difficult conditions" with strong winds and severe cold that was about -31�F, and then Urubko and Bielecki "started lowering Revol" to the base of the wall at approximately 5000 meters, where "she made the rest of the way to Camp I by herself." The climbers were evacuated by helicopter from Camp I at 4 p.m. on January 28 after the rescue team had been on the go for 28 hours. The four Polish K2 expedition members returned to K2 base camp where they plan to continue their winter attempt. 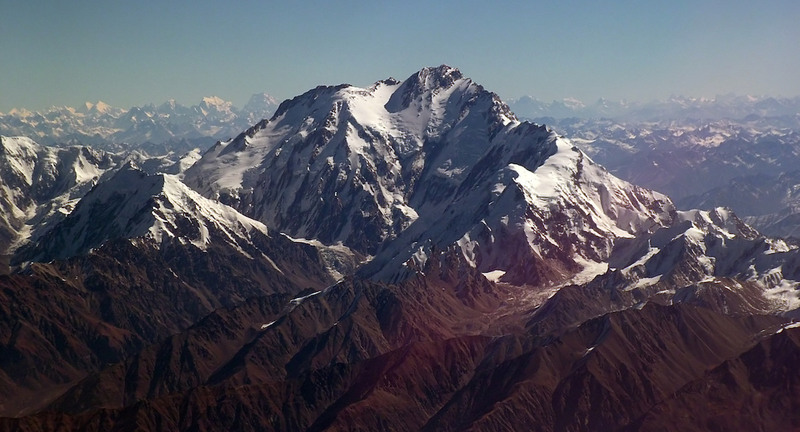 K2 is the last 8000-meter peak that has yet to be summited in winter. According to the New York Times, high winds of more than 50 mph and a wind chill of nearly -80�F have halted efforts to reach Mackiewicz. Masha Gordon started a fundraising campaign on GoFundMe.com to pay for the rescue; the page is now dedicated to help support Mackiewicz's wife and his three children. Here are the sources in order. 5) The likelihood that he would have survived more than a day is very low. In all honesty, if the team had made the effort to go up and help him, if he could not walk on his own, he wasn't going to get down. If he was as injured as described, he probably would have died either way. 1) no 2) probably he would not survive a second night. But there was no other option other than let him alone. 3) probably no 4) above 7000 metres very common 5) zero. I have some questions related to Tomasz Mackiewicz I was hoping someone can answer. 1) Was he deceased when left in the cravass? 2) How long would be likely have lived for if left for dead? 3) Understanding that these things happen in alpine climbing will there be any effort to recover his body? 4) How common is it to leave a person who is injured on the mountain? 5) What is the likelihood that he is still alive on the mountain today?